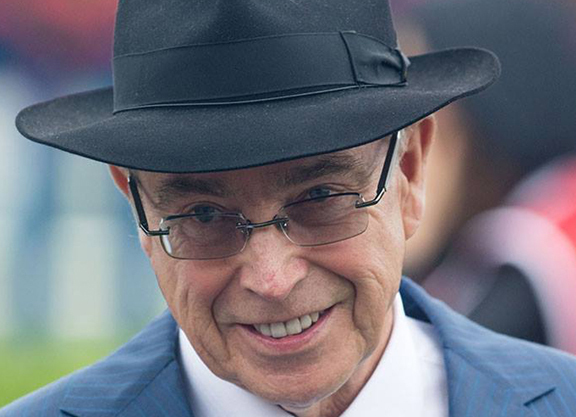 Hall of Fame Canadian conditioner Reade Baker, whose career was highlighted by a Sovereign Award as Canada’s outstanding trainer in 2005, will retire from training and transition to a new career as a racing, breeding and sales consultant, according to a statement posted on his Facebook page Tuesday morning. In total, Baker trained 13 Sovereign Award winners and two Canadian Horses of the Year in Fatal Bullet (Red Bullet; 2008) and Biofuel (Stormin Fever; 2010) in a career that saw him notch 1,119 total wins with earnings in excess of $54.7 million. “Reade wishes to thank the owners who confidently entrusted to him their young and talented prospects many of whom became stakes winners and also his dedicated team of employees–several of whom were with him for an extended time,” the statement read. “It’s time for a new challenge,” Baker said. A native of Port Dalhousie, Ontario, Baker stepped out on his own as a trainer in 1989 after enjoying prior success in the breeding and bloodstock sectors, as well as in the management of Canadian champion Afleet (Mr. Prospector). 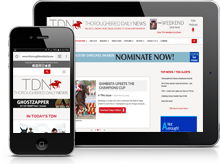 Over the years, he built a steady base of clients, which included Stronach Stables, Jim and Susan Hill, John Franks, Brereton Jones and Danny Dion’s Bear Stables. Baker will continue to be based in Toronto in his new role.